Stagnant Economy is driving mortgage rates to the 2nd lowest level of 2013! 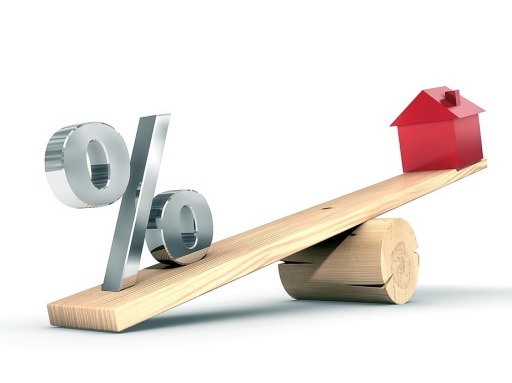 The drumbeat of mediocre economic news continues, and interest rates have settled, with fixed rate mortgages sliding to a place near their lowest levels of 2013. The retreat for rates–taking Freddie Mac’s Fixed-Rate Mortgage Indicator (the overall average rate for 30-year fixed-rate mortgages–conforming) from a 3.63 percent high in March to the present 3.41 percent–has seen us move to the bottom end of the recent range, excepting the 2013 floor of 3.34 percent seen in January. An equivalent peak for rates was seen as recently as last August, and our current bottom-of-the-bottom record low of 3.31 percent was achieved in November, so we still fit right in between those markers. The difference in mortgage rates from recent peaks to valleys may be more psychological than fiscal, though, since the difference in payment between 2013 highs and this week’s average is just $11.37 per month for a $100,000 30-year fixed rate mortgage. According to Freddie Mac’s weekly rate survey— found that the overall average rate for 30-year fixed-rate mortgages (conforming, non-conforming and jumbos) eased by a single basis point (0.01 percent) to 3.41 percent, its second lowest rate of 2013. The Freddie Mac’s 15-year companion also dropped by one basis point (0.01 percent) to 2.65 percent for the week ending April 19. FHA-backed 30-year fixed-rate mortgages followed along with their own decline of just one basis points (0.01 percent), falling to an average rate of 3.29 percent, while the overall average rate for 5/1 Hybrid ARMs failed to move at all, holding an average 2.61 percent for the week. Housing markets are no doubt helped by persistently low mortgage rates. However, it would be a mistake to think that improvement will come in a straight-upward line, what with high levels of unemployment and caution about prospects for economic improvement just ahead. Although housing starts bounced 7 percent higher for March, all of the gain was concentrated in the multifamily portion of the market. Overall, it seems to us that the economy is neither growing much nor declining much, but rather treading water at a moderate pace. Including China’s rate of growth sliding below 8 percent, we are in a slow growth period here and abroad. Interest rates will have a tough time getting any upward traction in such a climate, although we could have flares higher from time to time, as we did earlier this year. It may be a long slog, too, with at least one Federal Reserve official predicting perhaps five to 10 years of financial instability ahead, with the Fed continuing unusually low interest rates as policy. Mortgage rates seem content to wander at about these levels, with an equal chance of rising or falling a couple of basis points.